A tangy and cold coconut lime ice macaron. 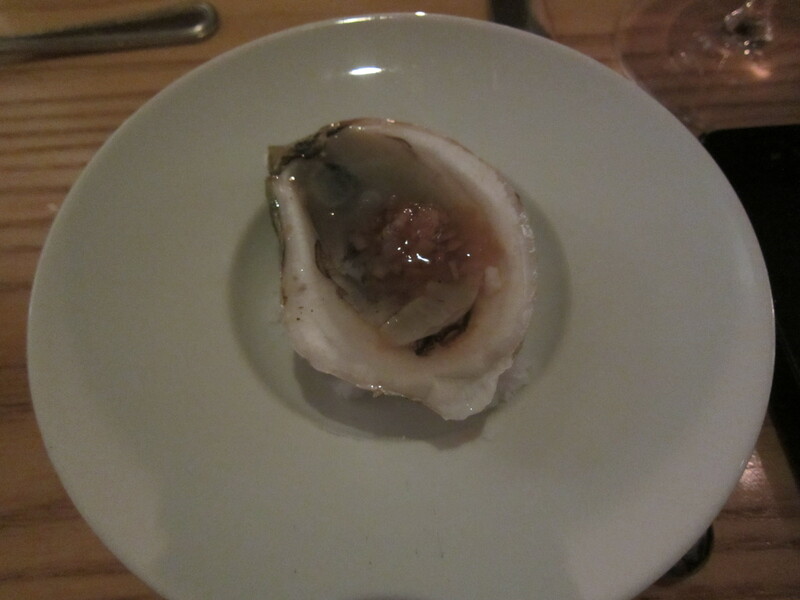 A single beau soleil oyster. 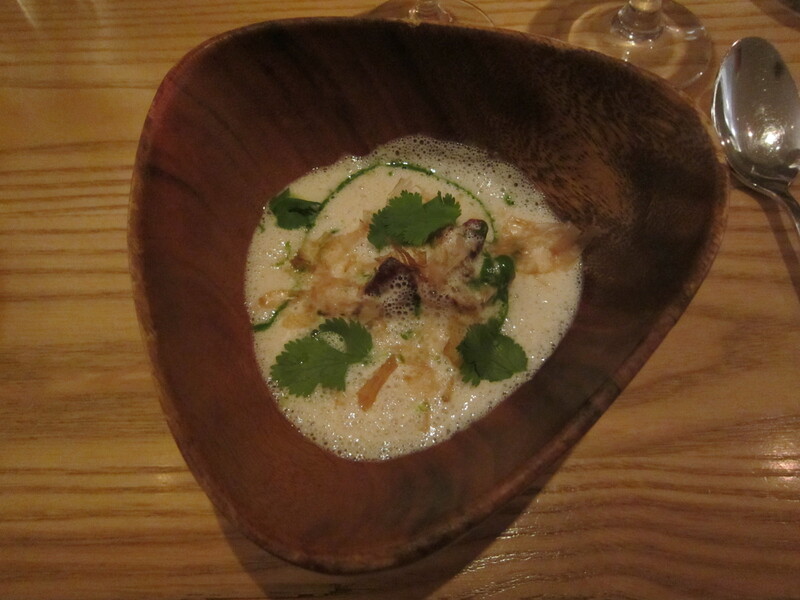 Sadly there was too much garnish that it overpowered the oyster. Tomato gazpacho. 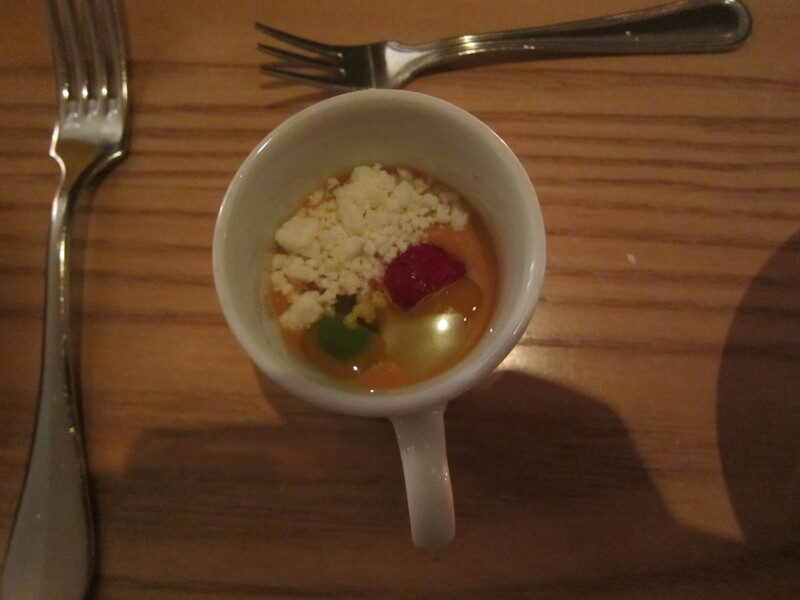 The strawberry added a nice sweetness and balance. Fritters with garlic aioli. Soft and delicious, not over-fried. Sardine. 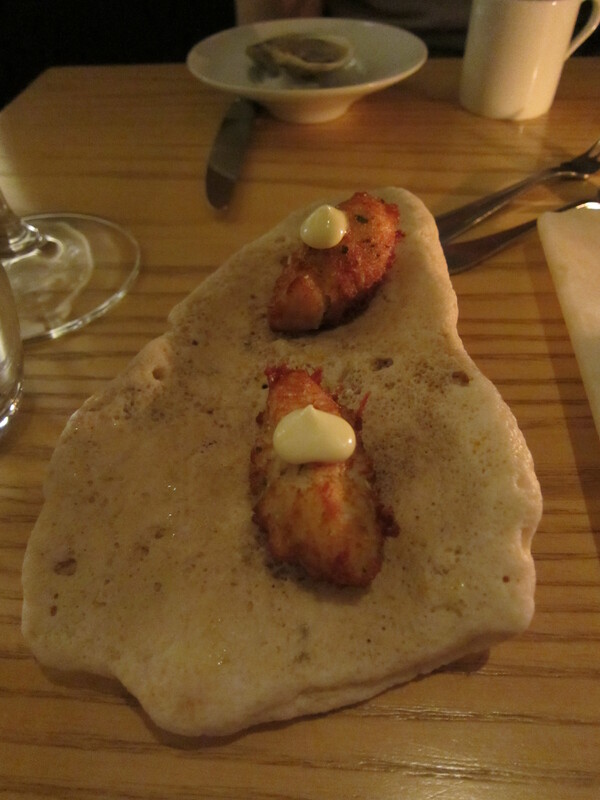 This dish had a very distinct sardine taste to it, but the bread-crumb-like topping added a nice texture. 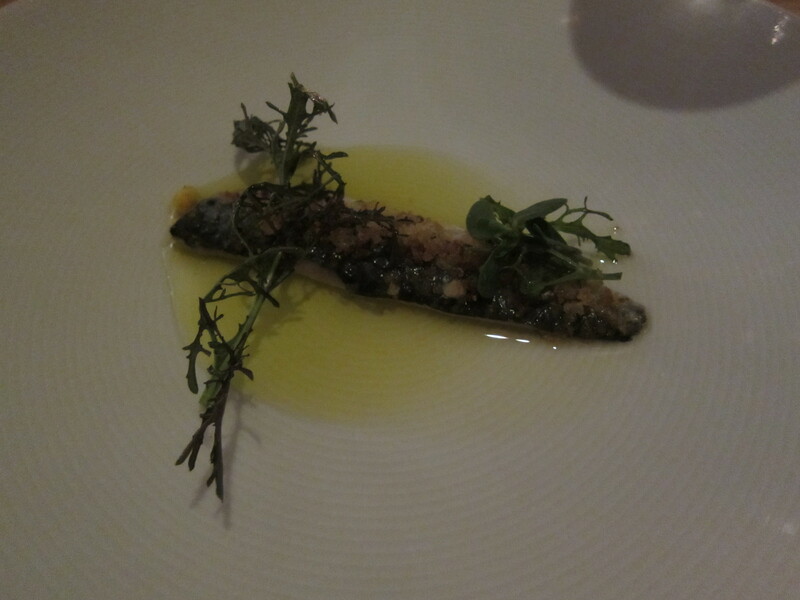 A crisp white wine that tasted like the sea and had a slightly sour finish was paired with the sardine. The pairing went well but I don’t think I’d normally drink it by itself. Cuttlefish with squid ink, cilantro, and topped with bonita flakes. I didn’t get the advertised squid ink taste because it was just sitting on the bottom underneath the foam and not mixed in. This was paired with seasonal sake. 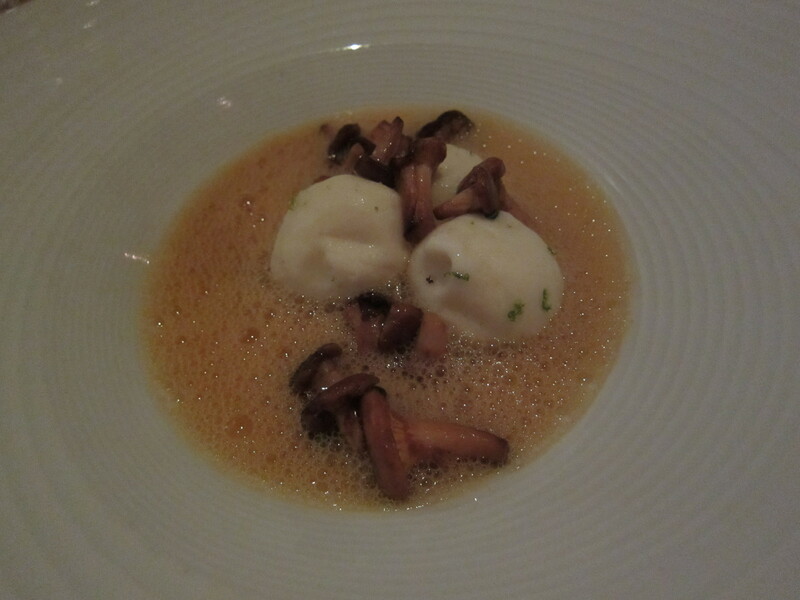 Aged gnocchi with a lovely seafood crab sauce and foam. The gnocchi was very light and soft. It was paired with rose. Suckling pig and pork belly. Both pieces just melted in my mouth. The thin crispy skin and crunchy string beans nicely countered the soft and juicy meat. This was paired with a Bordeaux styled Pinot Noir. 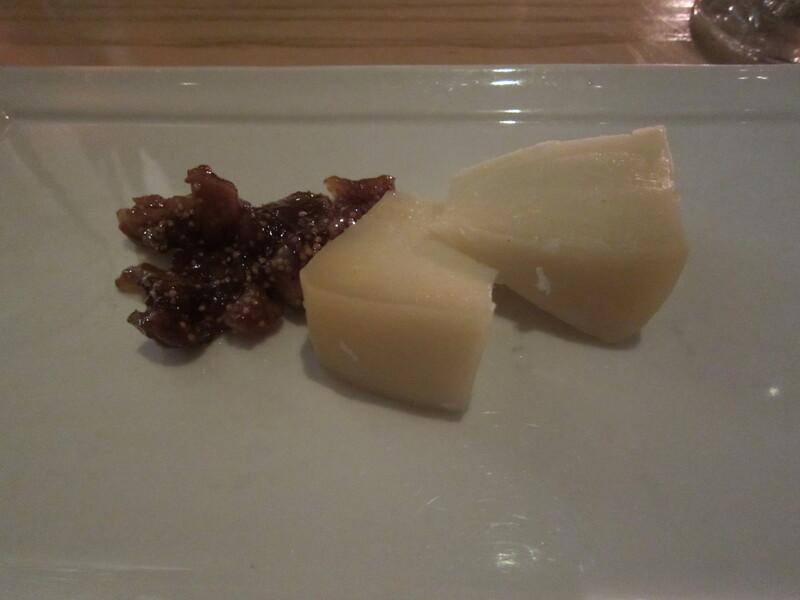 Sherpa milk cheese with figs paired with a semi-sweet sparkling red wine. 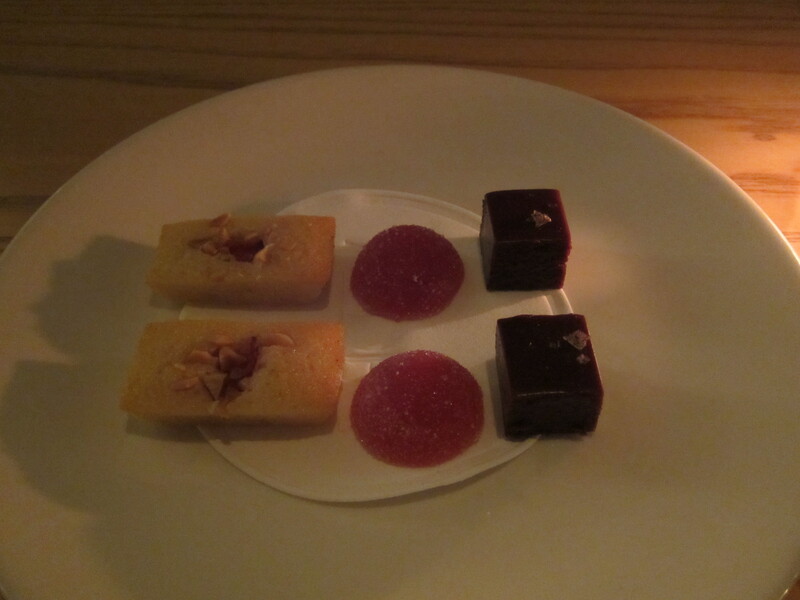 The cheese by itself was quite strong but was well-balanced by sweet and jammy figs. 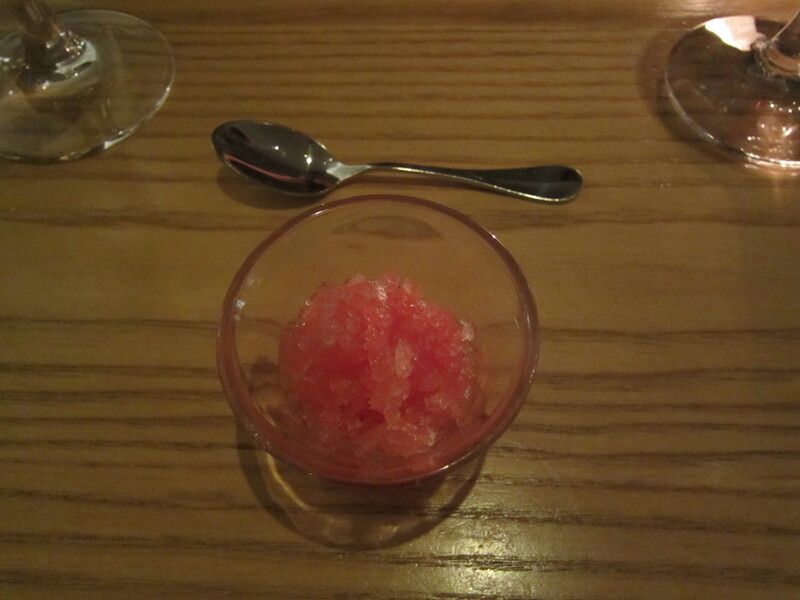 Watermelon ice with cantaloupe. 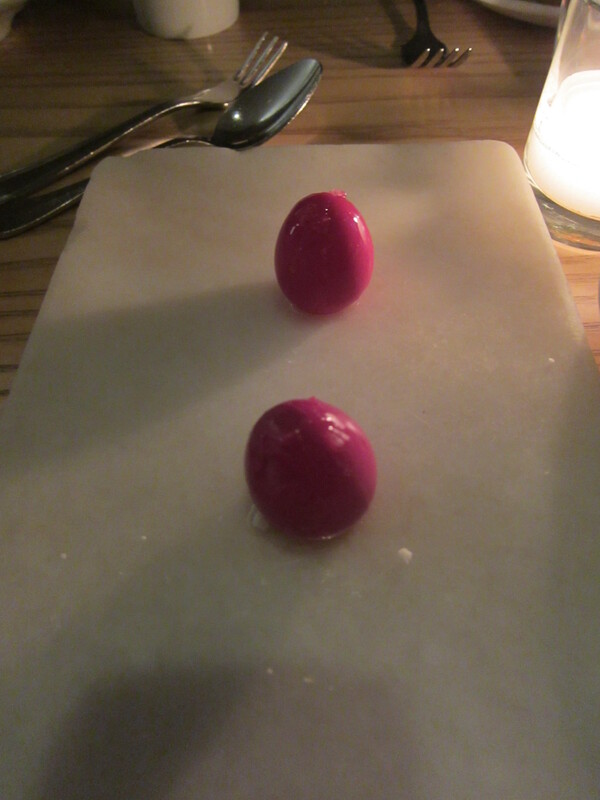 This was a really good and refreshing palate cleanser served at exactly the right time of the meal. 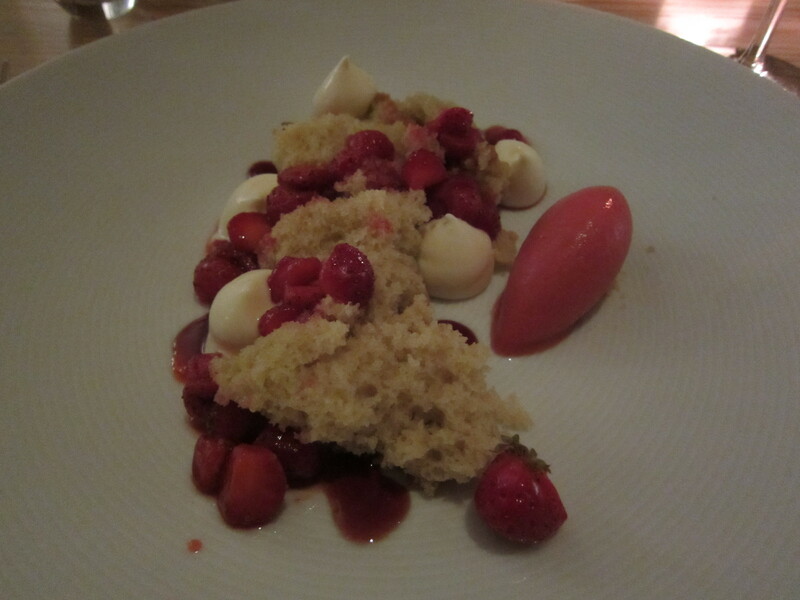 Olive oil cake with strawberry sorbet and ricotta. This was paired with port wine. Welcome to Babbo’s pasta tasting. 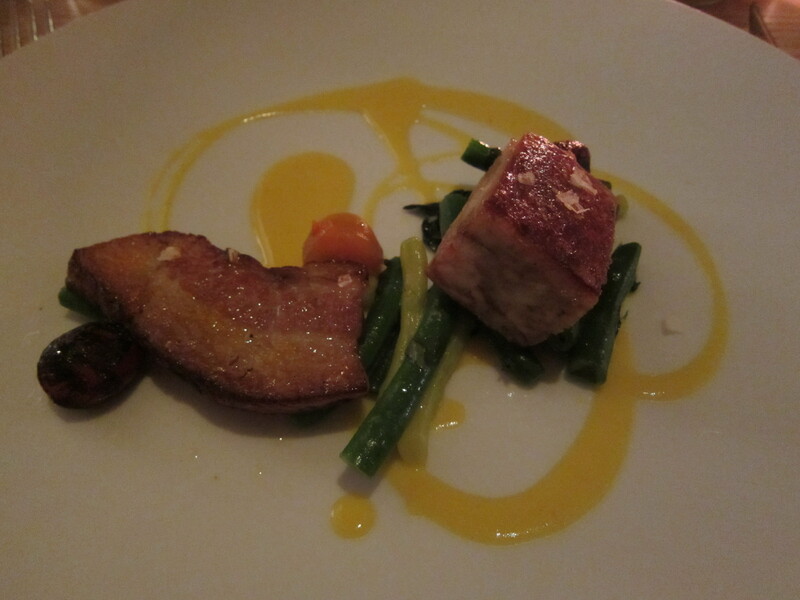 The subtle sparkling white wine paired with this dish went well with the smokiness of it. Nice colors added to the light flavor and creamy pasta filling. There was also a slight crunch from the green onion on top. This dish had a nice charred corn taste, but the tagliatelle seemed a tad bit overcooked. The wine that was paired with this dish was good by itself, but it didn’t quite fit with the pasta. Aged goat cheese topped this nice garlic and buttery pasta. The nicely cooked mushrooms and green herbs really stood out. This dish paired nicely with lighter but flavorful red wine. The pasta of this dish had a nice texture to go with the sauce and cheese. Unfortunately, the meat had a dry kind of aftertaste to it. This was paired with medium body well-rounded red wine. The pappardelle Bolognese was delicious and didn’t get a chance to have its picture taken it was so good. It was paired with a fully bodied, rich, and smooth red wine. Rich creamy dark chocolate paired with a cherry sparkling rose. Tasty cherries on top of a soft, semi-sweet moist cake paired with a really sweet moscato wine.